Where can I purchase Blake’s meals? Our meals are available in stores all over the country. Go to our store locator and enter your zip code then pick the meals you are specifically looking for to find a store near you. In some stores we are located in the Natural or Organic freezer sections of the store. 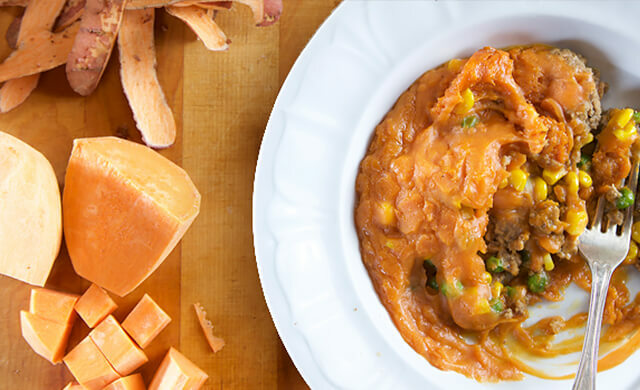 If your local store doesn't currently carry our meals, be sure to make a request with the frozen foods manager. Is your facility certified organic? Yes! Our facility is certified organic annually by the New Hampshire Department of Agriculture, Markets and Food. Why don’t your pot pies have a bottom crust? 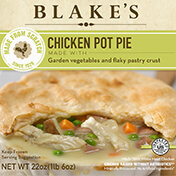 We have been making our pot pies without a bottom crust for more than 40 years and the reason is simple: We’d rather fill our meals with more chicken, veggies, and gravy. We think the single crust creates the perfect balance of crust and filling, but it also makes our pot pies significantly lower in fat, sodium, and carbohydrates than most other pot pies. This is the way Great Grandma Clara always made her pies, and we’re continuing the Blake’s tradition. Do you use white meat chicken in your meals? Yes, we only use white meat chicken in all of our meals. Do you have any vegetarian or vegan meals? Our Homestyle Mac & Cheese and Farmhouse Mac & Cheese are vegetarian items. We currently do not make vegan meals. Do your meals contain high fructose corn syrup? 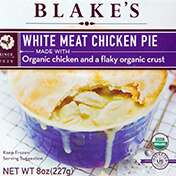 Our organic meals contain at least 70% organic ingredients and our White Meat Chicken Pie is 100% organic. 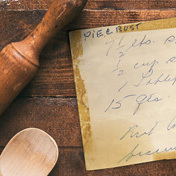 What does “made from scratch” really mean? It means that actual people prepare each meal in small batches. This ensures that we can control the quality of every aspect of our meals. Specifically, it means cooking the chicken in small batches, mashing real, whole potatoes (never potato flakes or instant potatoes), and making our signature gravy in small batches by our employees, not with machines. Made from scratch at Blake’s means the same thing it means at your home. Does your cheese contain animal enzymes/rennet? No, our cheese is aged using vegetable/microbial rennet. It is also rBGH-free. Do you make gluten-free meals? Yes! Our Shepherd’s Pie, Gluten-Free Chicken Pot Pie, Turkey Shepherd’s Pie, and Turkey & Uncured Bacon Cottage Pie are all gluten free. At Blake’s, we validate the segregation and cleaning methods in our facility with testing. During production of gluten-free meals, we periodically test them to assure that the presence of gluten is less than 20 ppm. Do your meals contain hydrogenated vegetable oils (trans fats)? 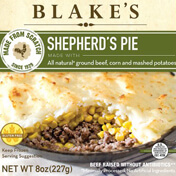 How do I cook my Blake’s meal? 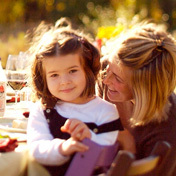 Most of our meals can be cooked in either a microwave oven or conventional oven. We definitely recommend using a conventional oven for our pot pies, as it ensures the crust will cook as it was intended. Does your ground beef have hormones? All of our natural and organic meals use ground beef that has been raised without antibiotics or hormones and fed no animal by-products. Do you use antibiotic-free chicken? All of our natural and organic meals use chicken that has been raised without antibiotics or hormones and fed no animal by-products. Do you have any dairy-free products? We have several dairy-free meals. All of our chicken and turkey pot pies (excluding our Organic Gluten-Free Chicken Pot Pie) are dairy free, as well as our Macaroni & Beef and Turkey Shepherd’s Pie. 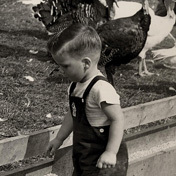 Do you still raise turkeys? We do not raise or sell turkeys any longer. I have a question that is not answered here. How do I get in touch with Blake’s? You can send us an email on our Contact Us page and we will get back to you promptly. You are also always welcome to contact us directly at 1-866-479-3859, Monday through Friday 10 a.m.-6 p.m. (ET). We love hearing directly from our customers! Please note during the holidays our offices will be closed so we can spend time with our families.